Otherwise RenewUSB3.cmd fails to Renew USB3 drives. On testing on various hardware, then frequently autorun of PS.exe results in error or non-working PStart menu. The problem is in the autorun of PS.exe , may be due to PS.exe running at improper moment. When Desktop has appeared then PS.exe is doing fine. 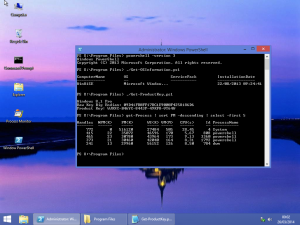 I changed the script settings such that I have a Desktop shortcut for PE.exe instead of Load at Startup (the autorun). Now everything is fine and after booting I can use Desktop shortcut for PE.exe to launch manually PStart found on external drive. It should be better, I hope, the desktop is loaded at this time. Keep anyway the desktop shortcut. The updated plugins are as usual on the server. USB3 drives are found when booting on Intel i5 machine. RunOnce of PS.exe is doing fine to find and launch PStart Menu. This is the best PE ever seen and is for me the best and handy Universal solution. by using direct booting from Boot Manager Menu on USB or by using iPXE wimboot and Tiny PXE Server for booting from Network. After booting you can use 32-bits and 64-bits Programs and Portable Apps available in PStart Menu. 'PE MODE' potential. I think that will be. I share your enthusiasm, thanks ChrisR for all your work. I came across this project while researching building my own PE5.0 USB drive. I gave this a try and it seems like it has almost everything I would need. One thing that I cannot live without, though, is powershell. It is the reason why I am upgrading from PE3.0 I cannot inject powershell through DISM and I do not see it anywhere in the configuration of winbuilder. Is there an easy way of getting powershell integration? I'll wait for Win 8.1.1 ISO and we will see what happens. I hope there will not too much change to do, to be compatible. I do not really use Powershell, I did not planned to work on, I do not have enough time right now. For a start point, If you want to look at, you can try to add Package to the original ADK8.1 boot.wim and then capture files and registry added. In Win8.1SE Scripting and WMI are already in the base and there is a plugin available for DotNet . Unfortunately Dism /Add-Package does not work in 8.1SE which uses install.wim hives. If you want to look at, you can try to add Package to the original ADK8.1 boot.wim and then capture files and registry added. How do I go about capturing files and registry? Before and after adding package. For registry changes, you can use Regshot. 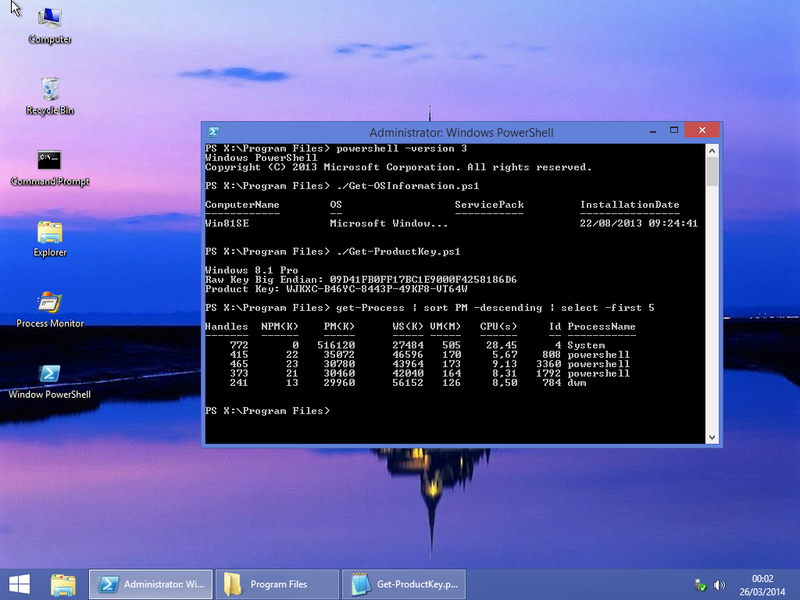 But firstly, you should already tried manually with the original win8.1 ADK boot.wim file http://technet.microsoft.com/en-us/library/hh824972.aspx. I will give this a shot a bit later when I have time. One thing that I cannot live without, though, is powershell. I found a little time to look a bit powershell, based on Win7PESE plugin and looking at the WinPE-PowerShell.cab package. I do not really use powershell, Can you do some tests to see how well it works.